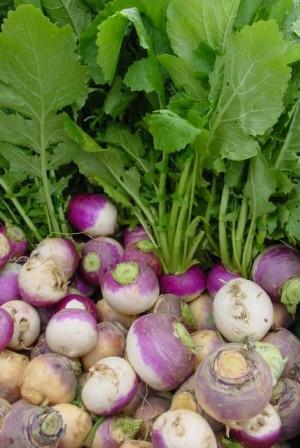 Turnips are easy to grow in Spring or Fall. As the plant grows the leaves can be harvested as "greens" through the season as long as the crown (top of the root) isn't damaged. The Turnip roots should be harvested when they are about 2 to 3 inches in diameter.